Allow me to nerd out this week with a DVD I haven't seen yet, but which is a must have for any early cinema lover. 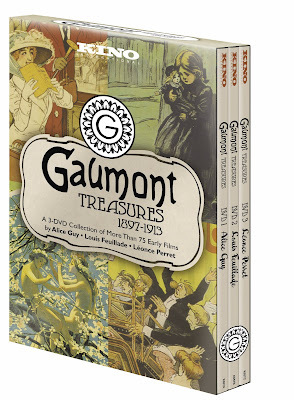 The Gaumont Treasures 1897-1913 box set has just about 600 minutes of silent films that most everyone hasn't even had the chance to see until this point. 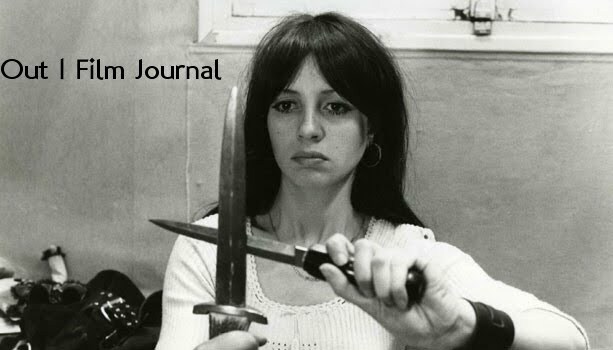 With notable films from early directors Alice Guy Blache, Louise Feuillade, and Leonce Perret, the release continues the ongoing critique and expanded understanding of all that was going on during the early days of cinema. This box, at least from the titles, looks a major addition to an always growing and always of interest period in cinematic history. Major kudos to Kino. Hell yes. I'd give my right kidney for this box set. For me, this is THE silent film release of the year (not that it had much competition).